McNary (1-2) celebrated its first win of the season, defeating Willamette 8-5 on Friday, Match 16. The Celtics broke the game open in the bottom of the third. After David Allen singled and then stole second to start the inning, Ryan Thompson and Robert Benson both drew walks to load the bases with no outs. With two strikes, Lance Becktel then drove in Allen and Thompson with a base hit to left field to give McNary a 2-0 lead. After Collin Wentworth hit a sacrifice fly to center field to bring home Benson, Becktel scored on an infield error to stretch the lead to 4-0. The Celtics scored two more runs in the fifth. Allen reached on an infield single, stole second, got to third on a passed ball and then came home on a wild pitch. Thompson drew another walk and scored on a single by Benson. Willamette got on the scoreboard in the top of the fifth, scoring two unearned runs on four infield errors. 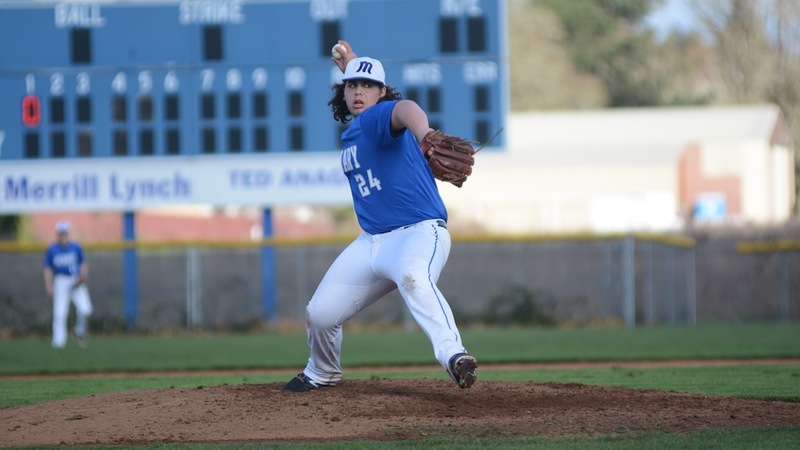 Devon Bedoya, who transferred to McNary from Salem Academy, started on the mound in place of Kyle McCallister, who missed the game with an illness. Bedoya went five innings, allowing two hits and three walks, to earn the win. The Celtics answered with two runs in the bottom of the fifth as Thompson had a RBI single. Benson got the final six outs to finish off the Wolverines. McNary is playing in the Volcano Stadium tournament March 28-31. The Celtics open with Aloha on March 28 at 6 p.m.